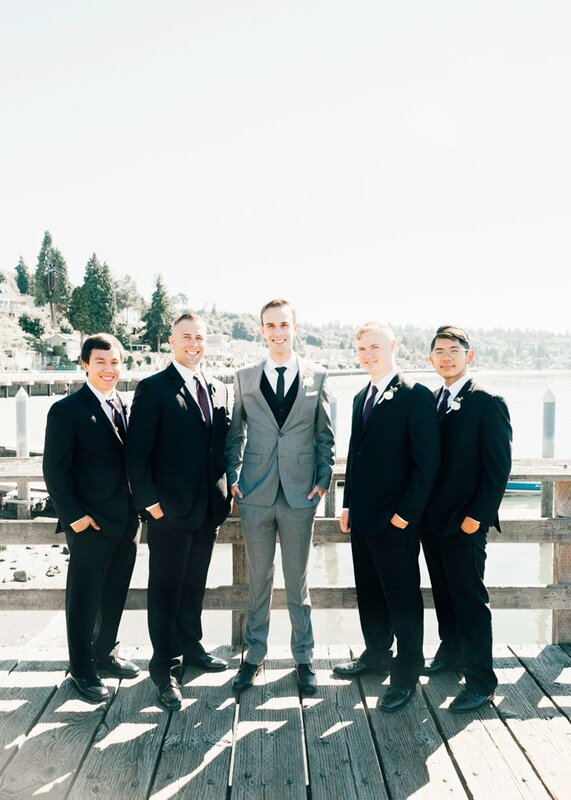 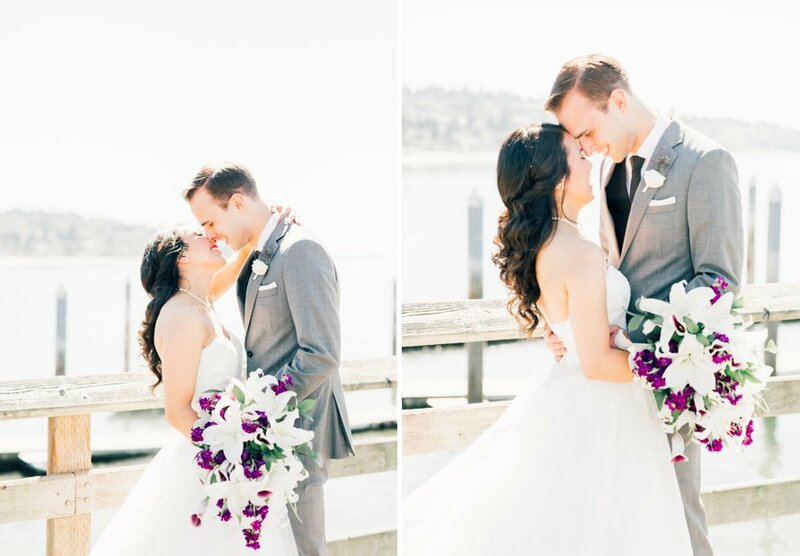 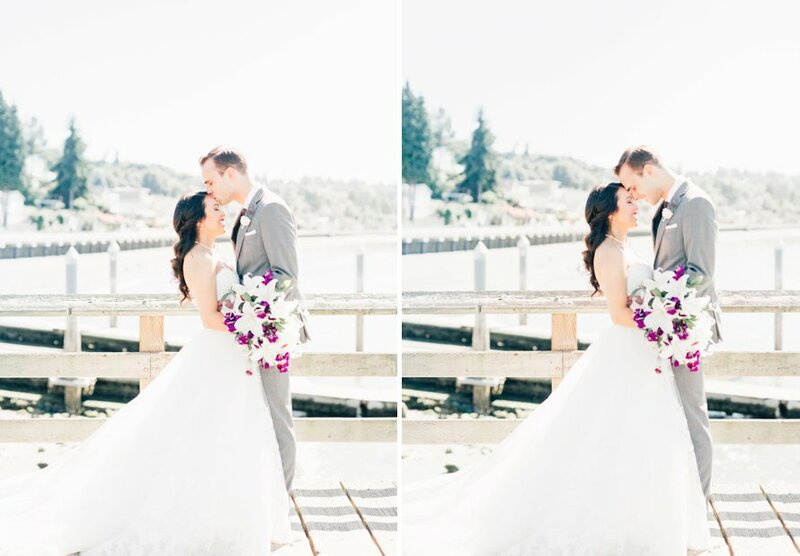 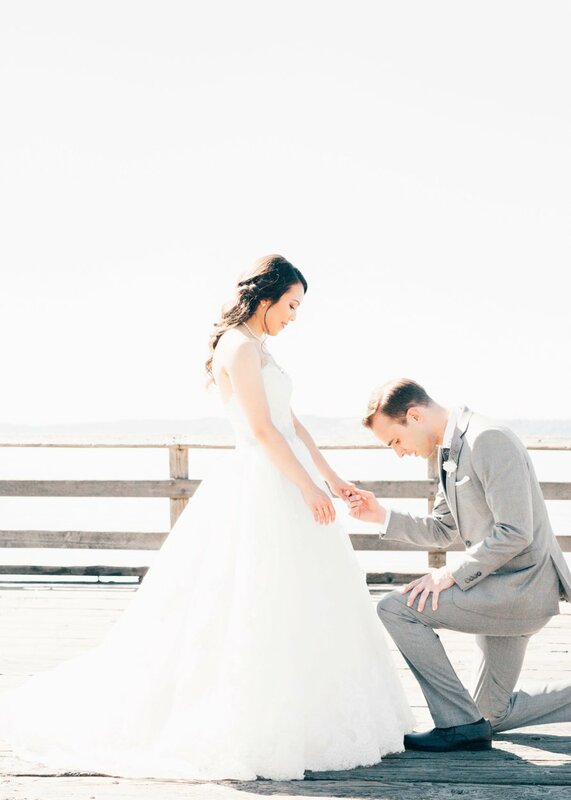 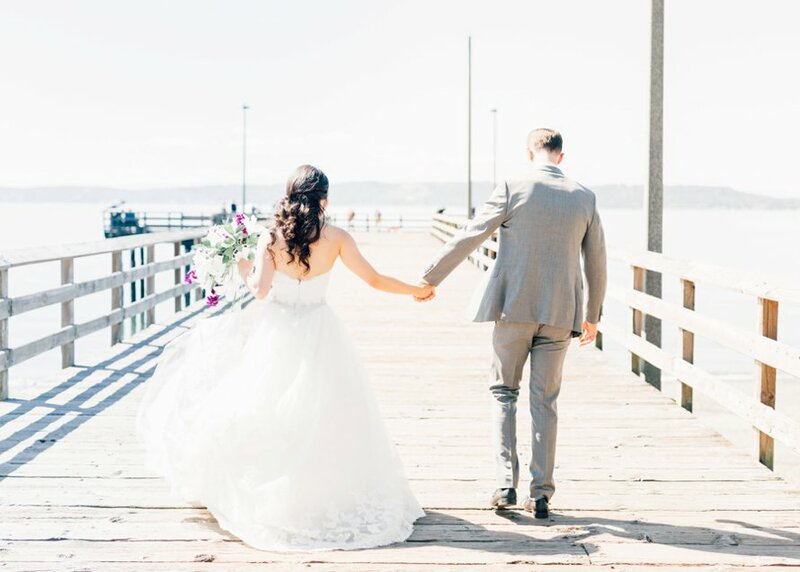 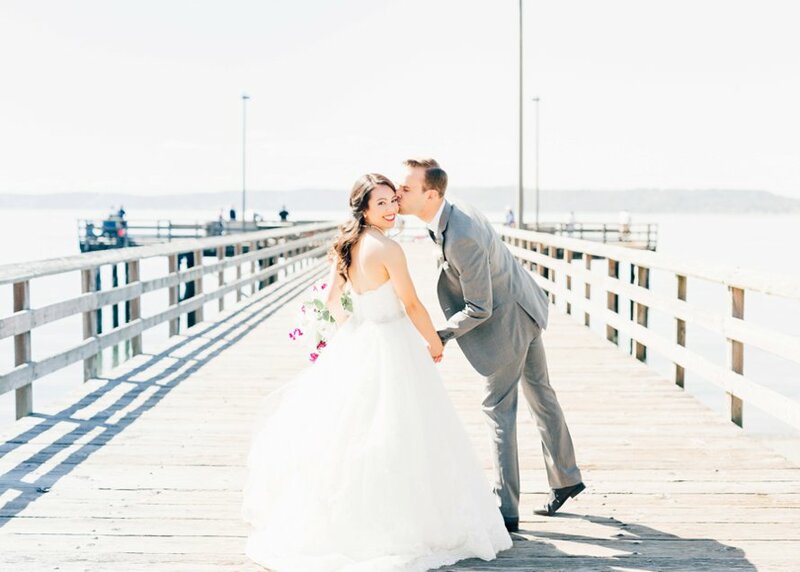 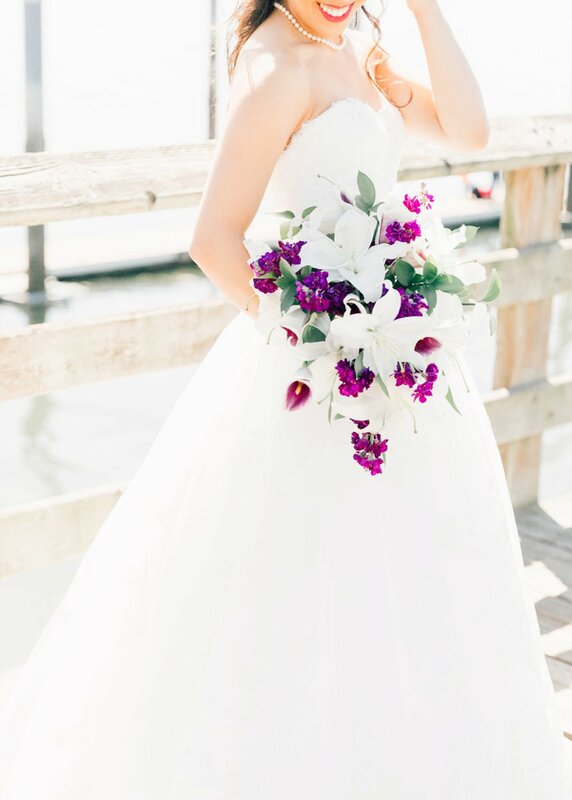 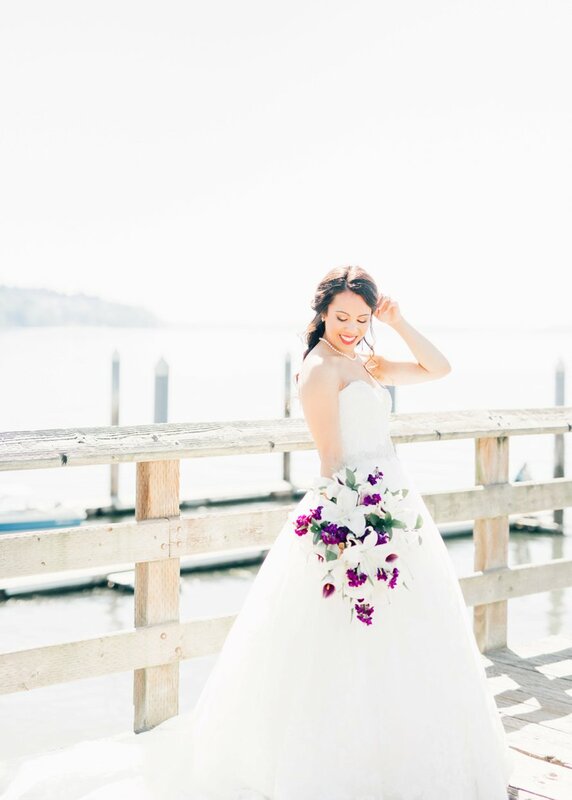 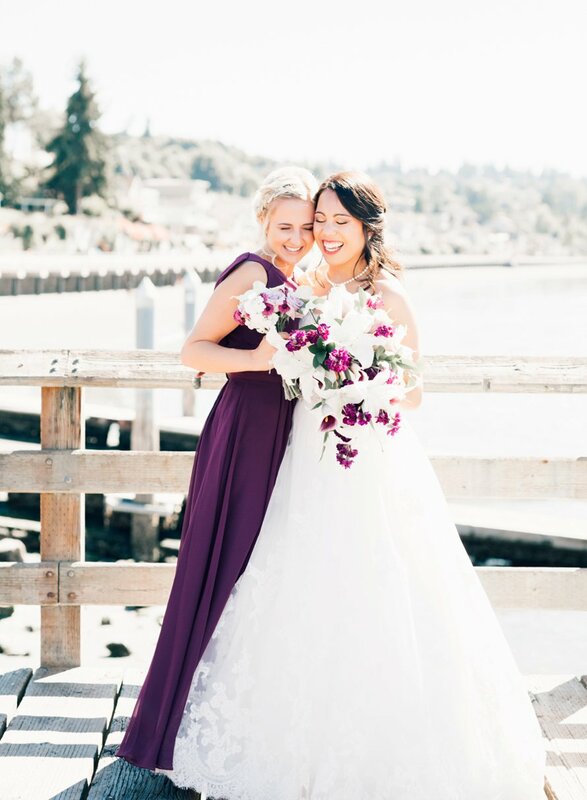 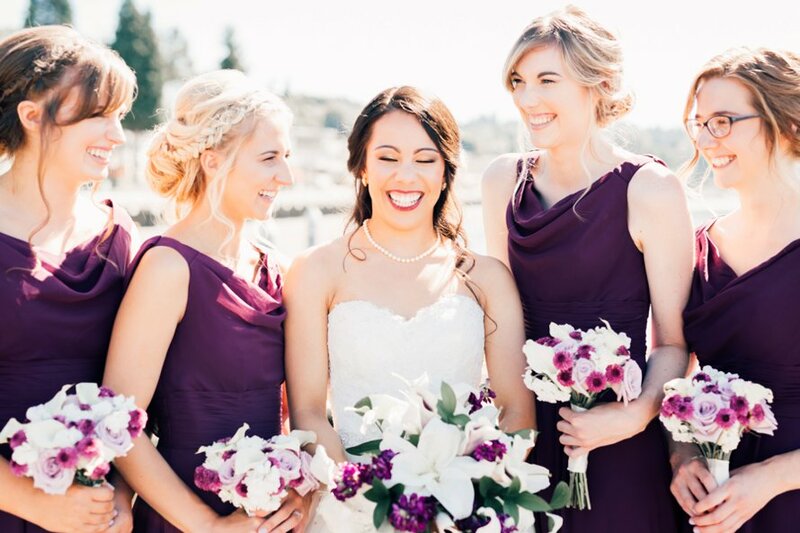 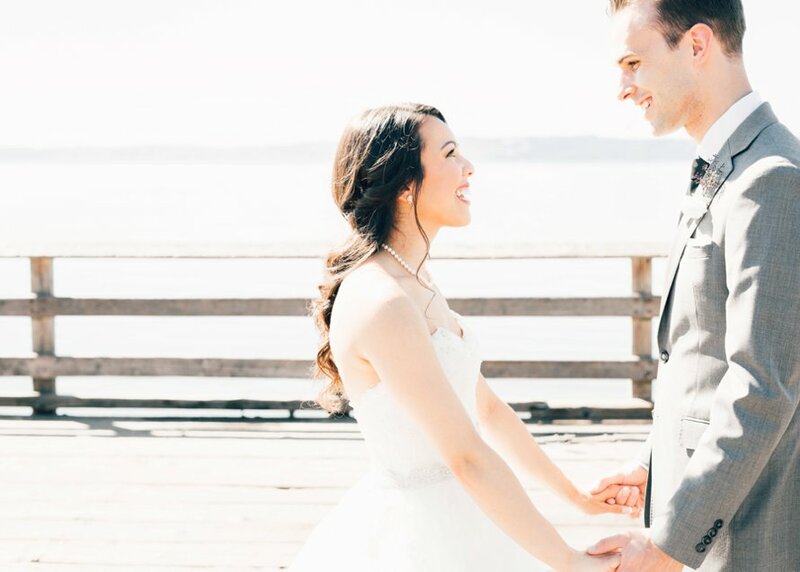 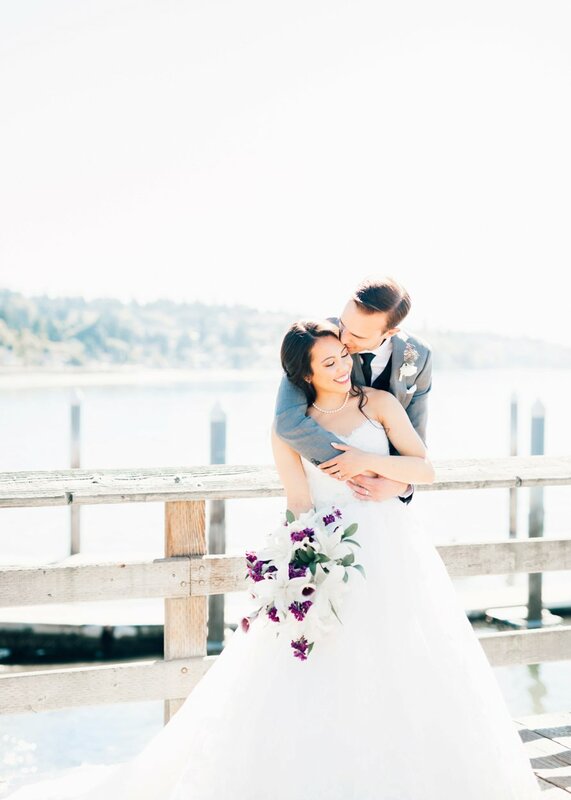 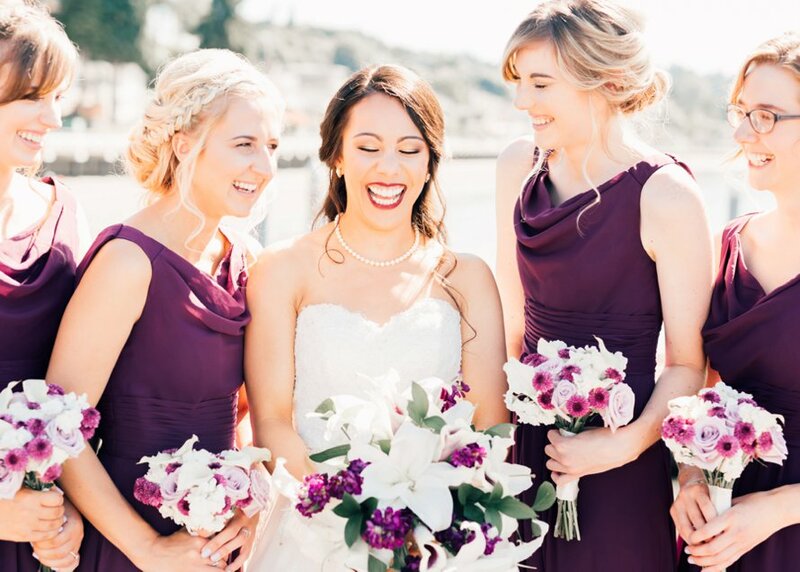 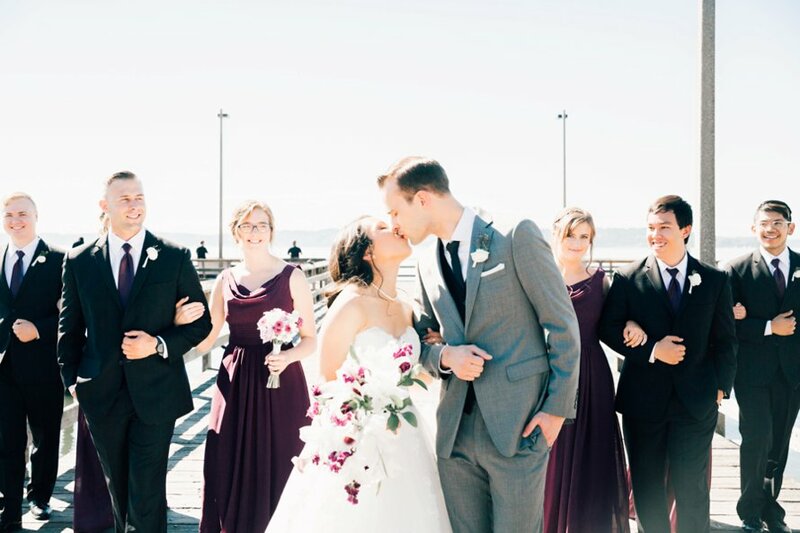 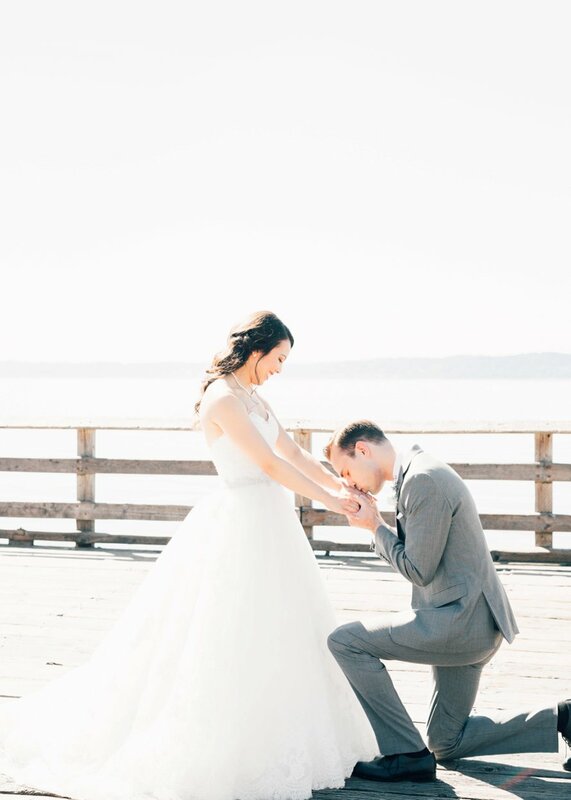 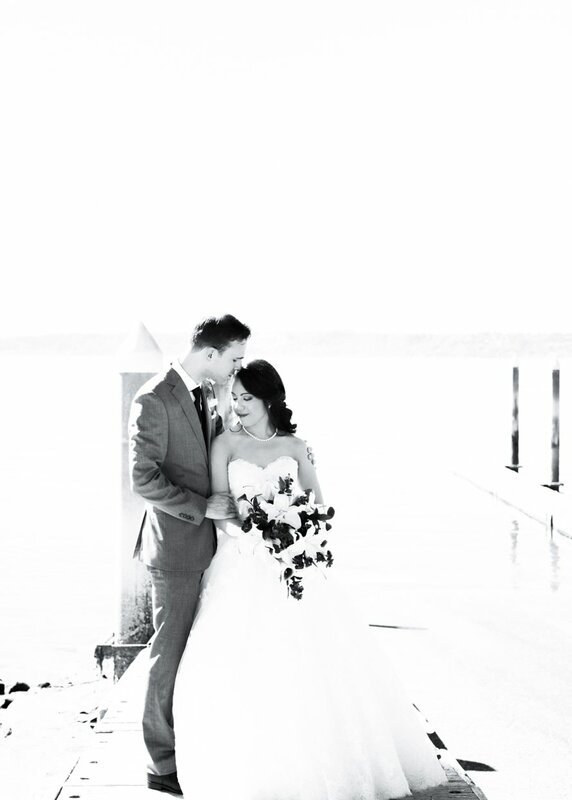 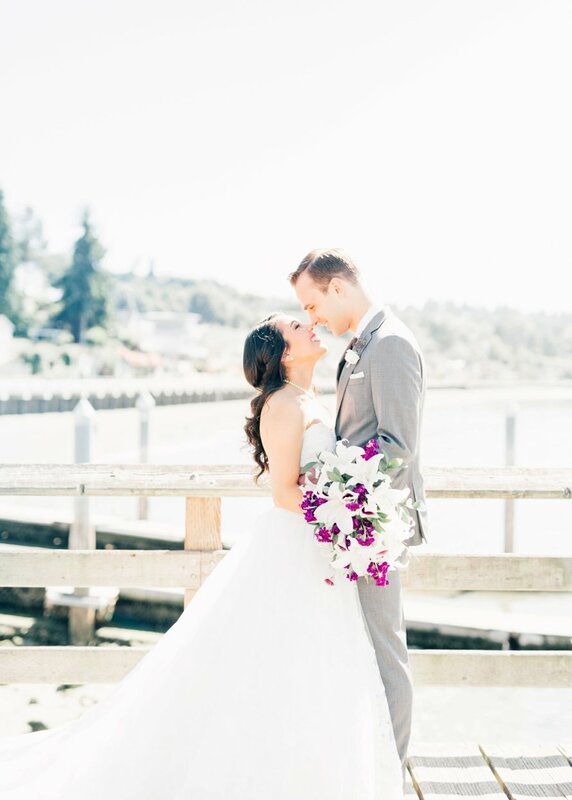 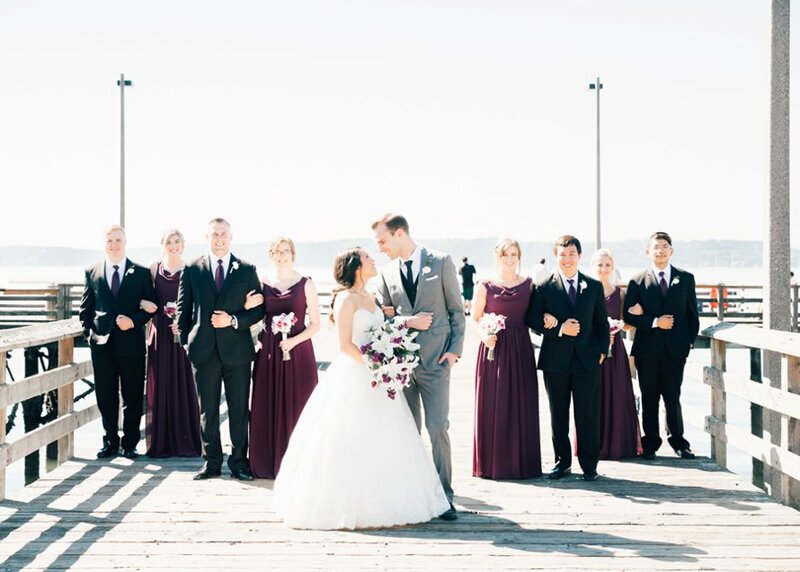 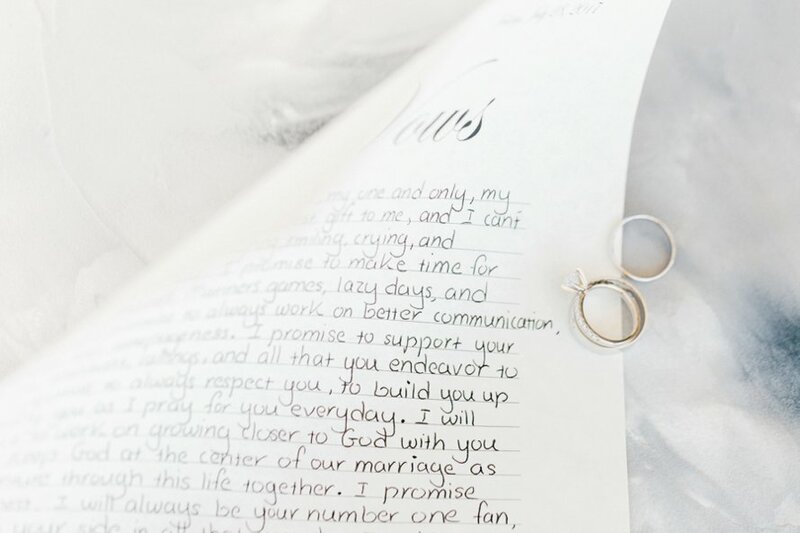 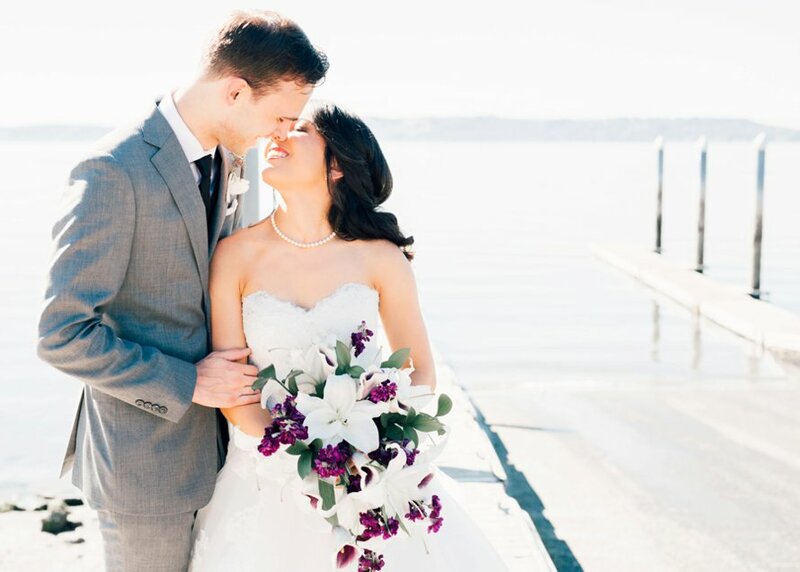 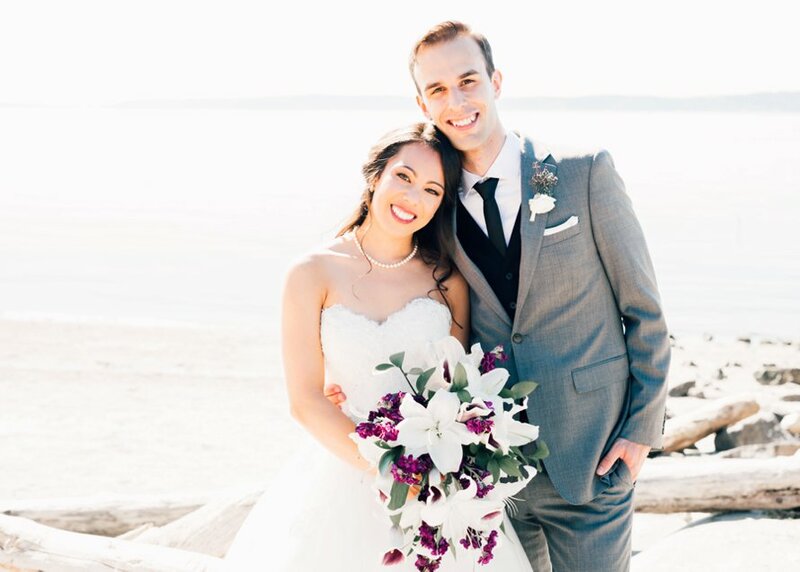 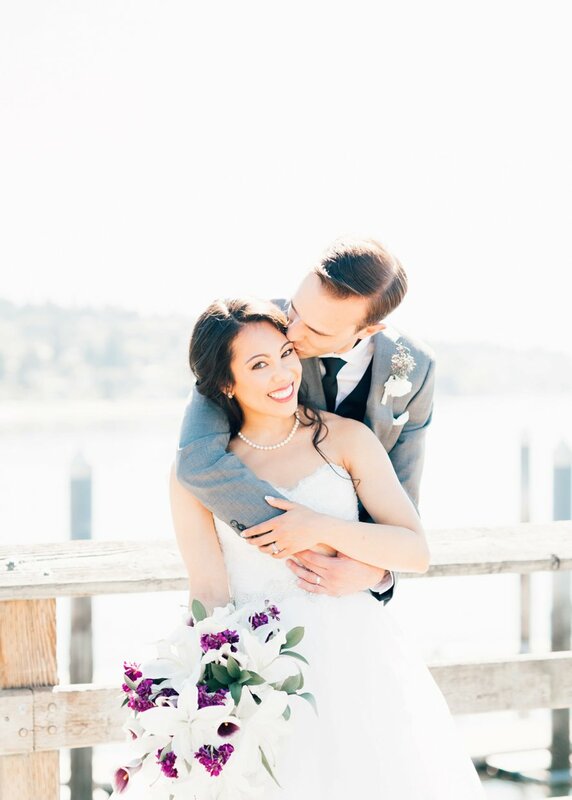 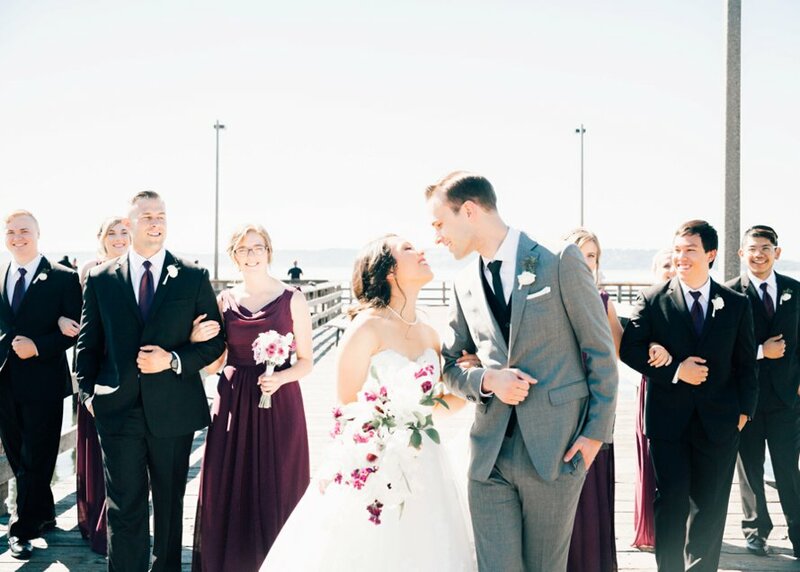 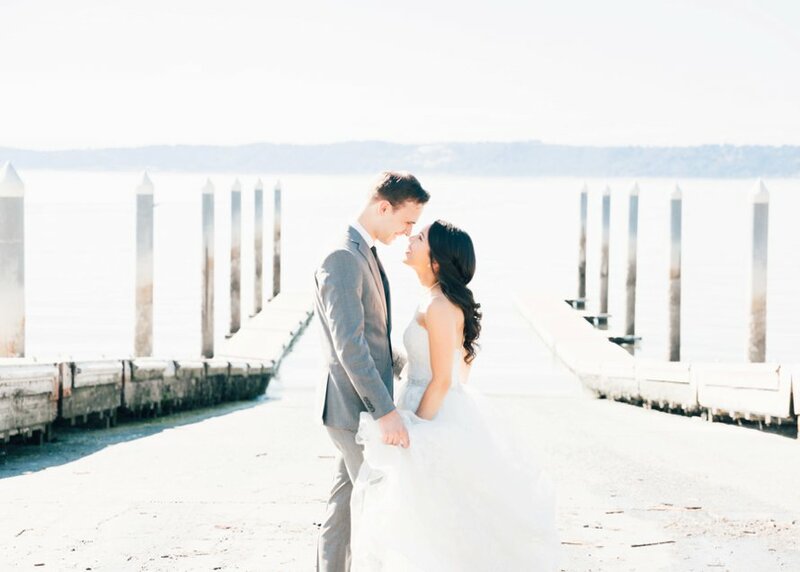 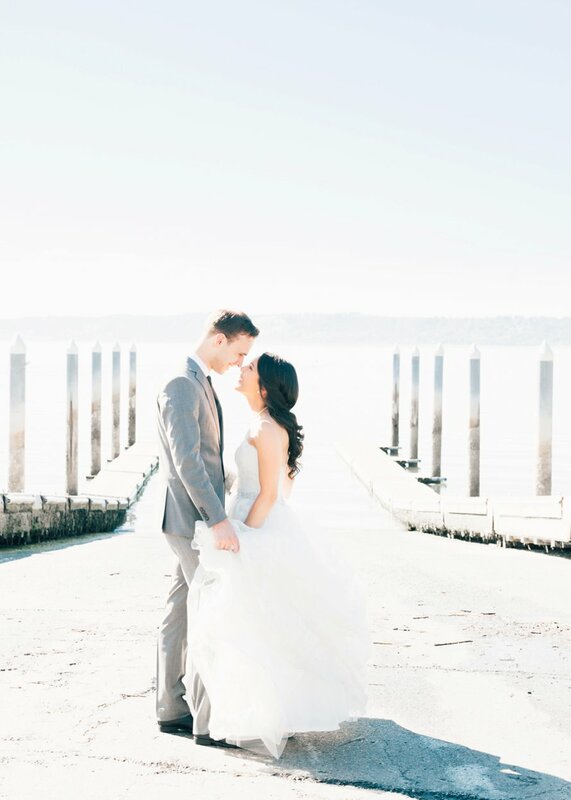 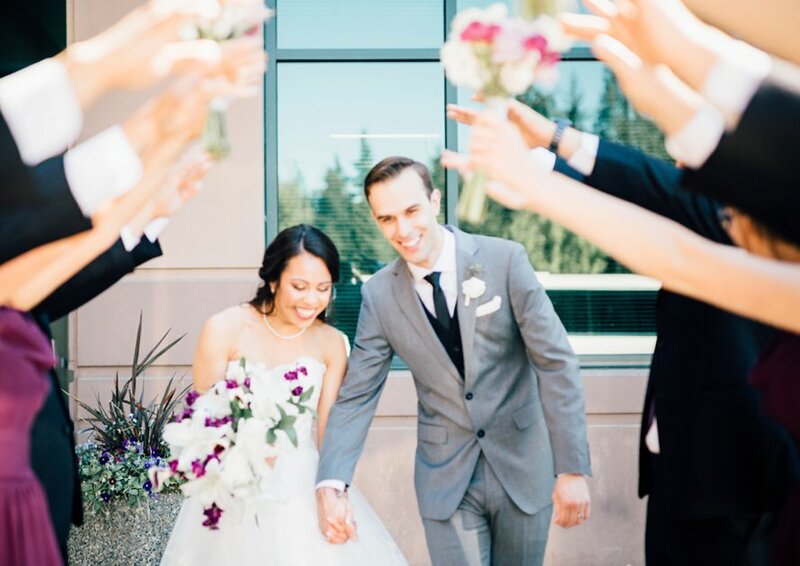 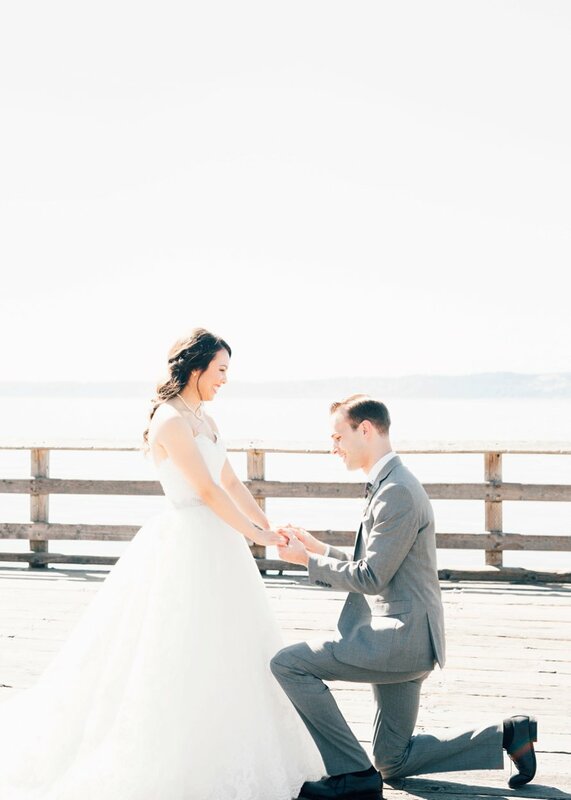 Ashlyn and Jordan made the promise of forever where their love story began, along a pier at Redondo Beach and at their home church in Federal Way, Washington. 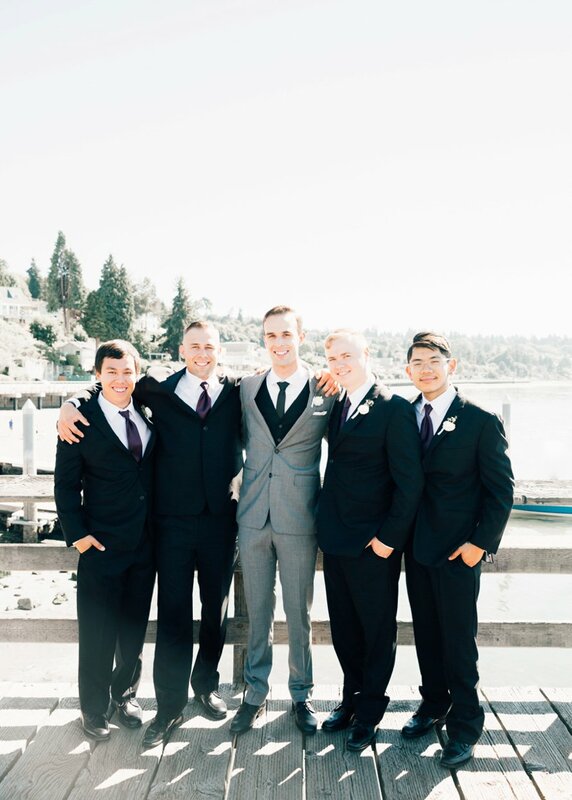 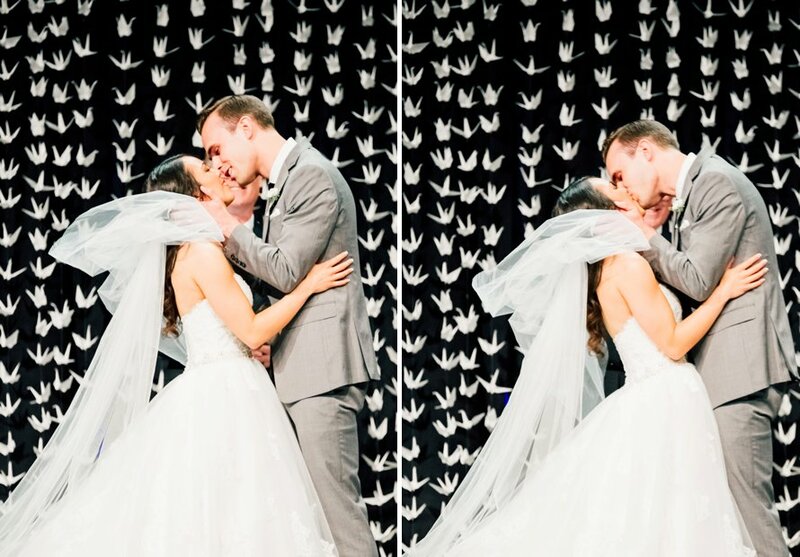 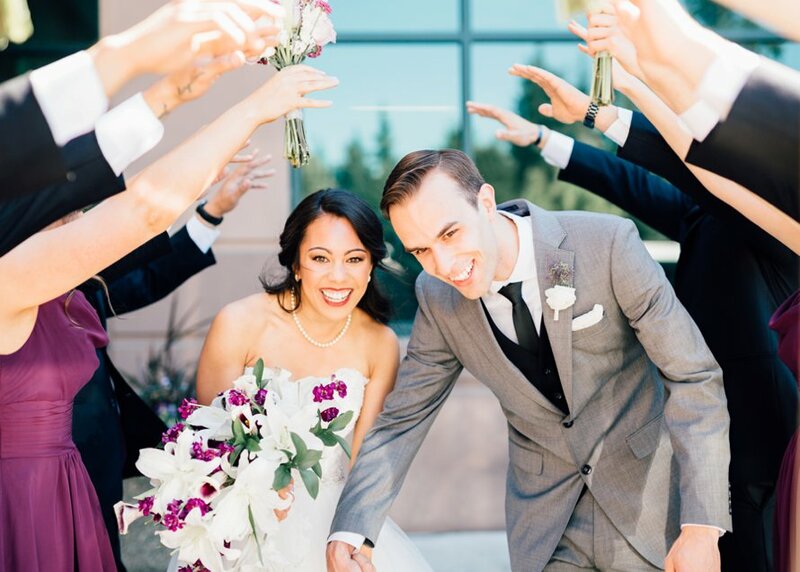 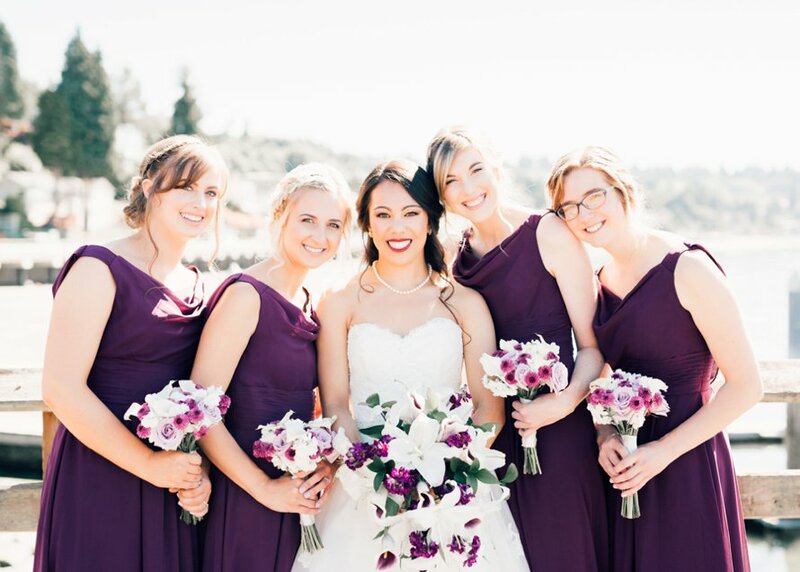 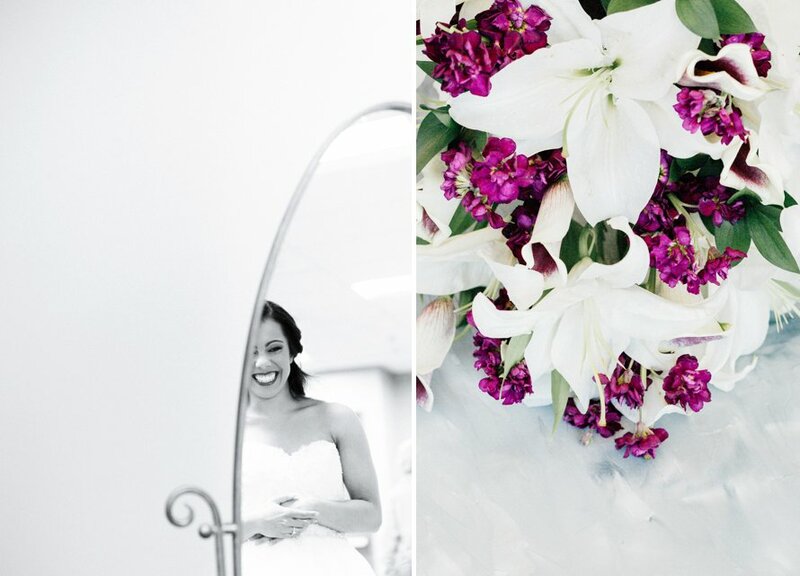 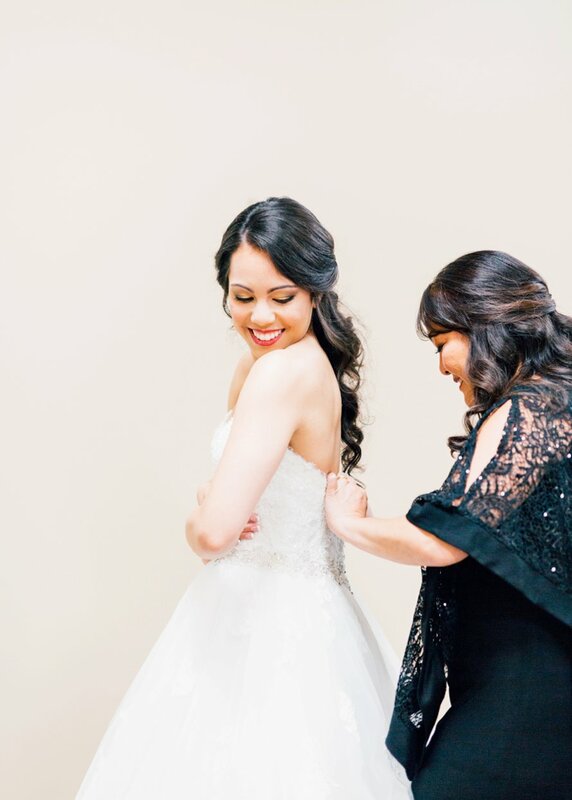 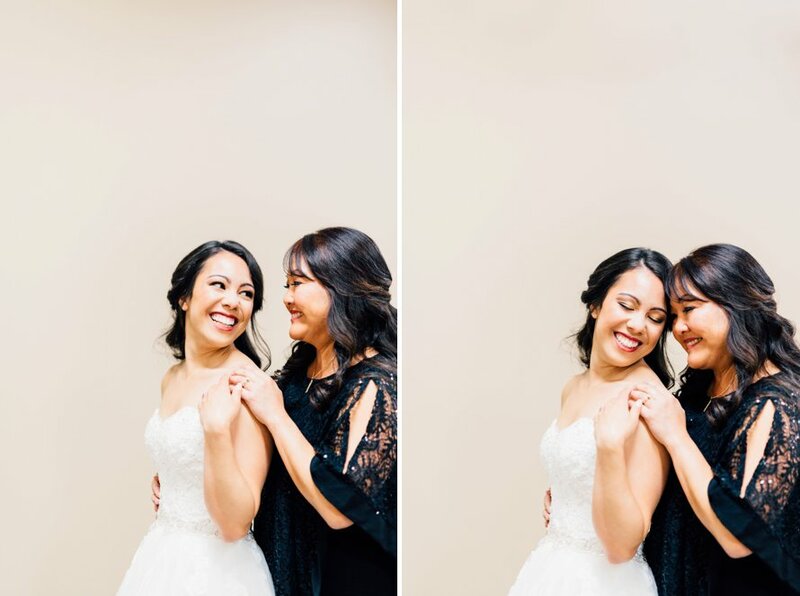 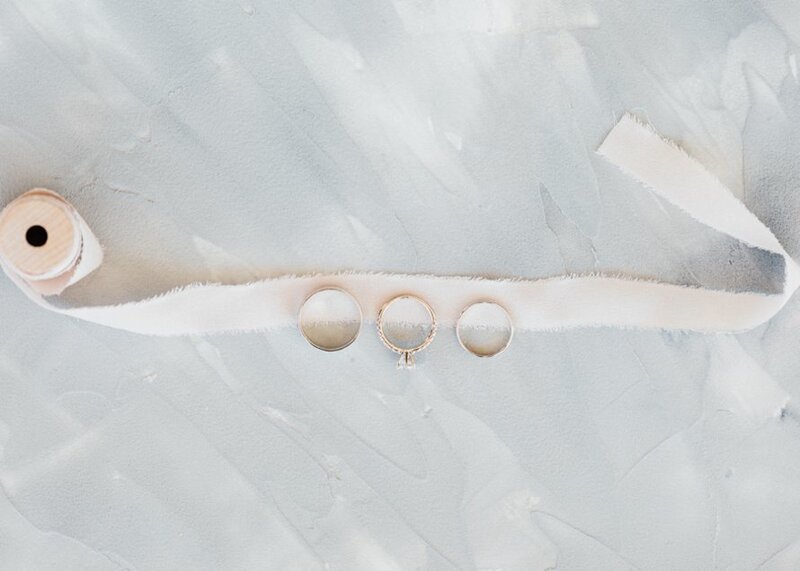 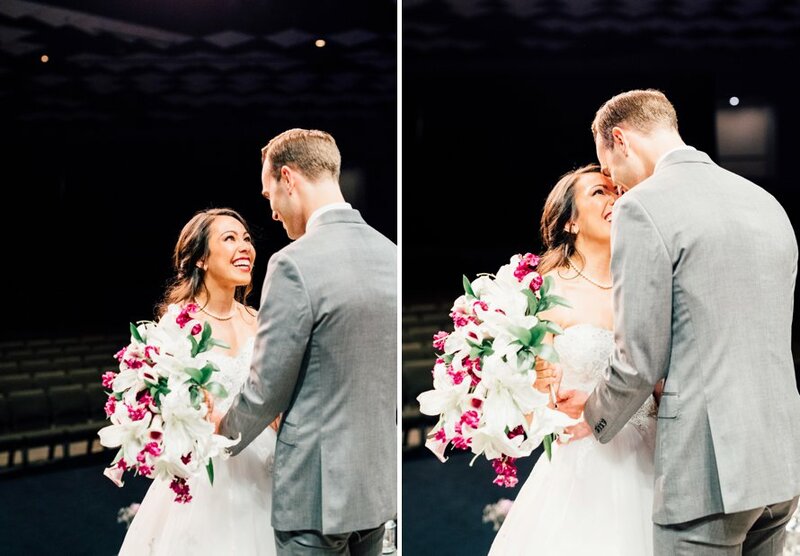 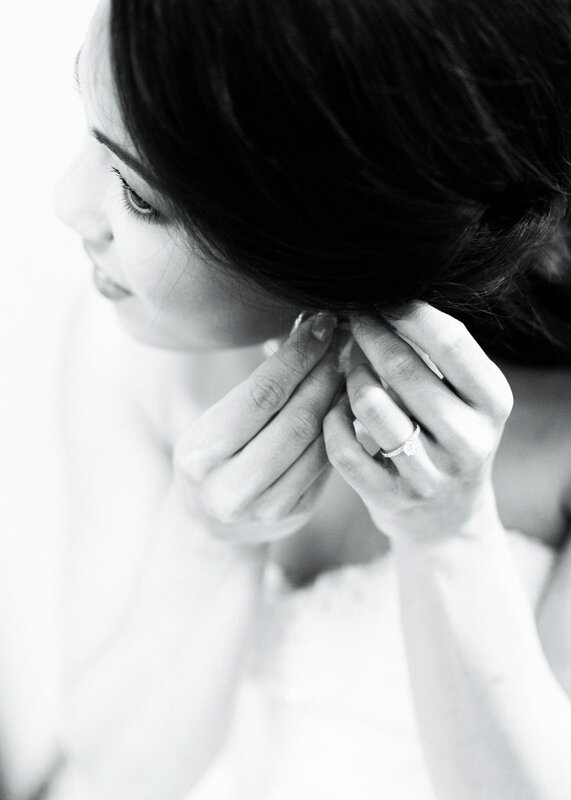 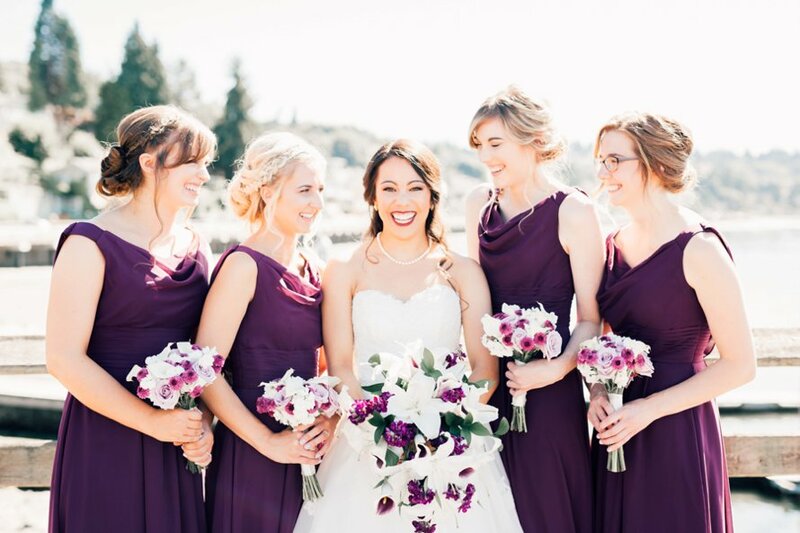 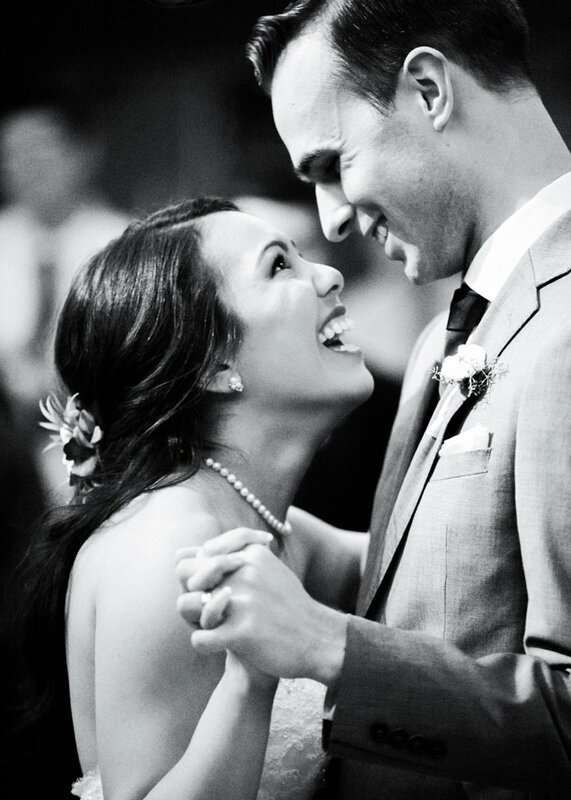 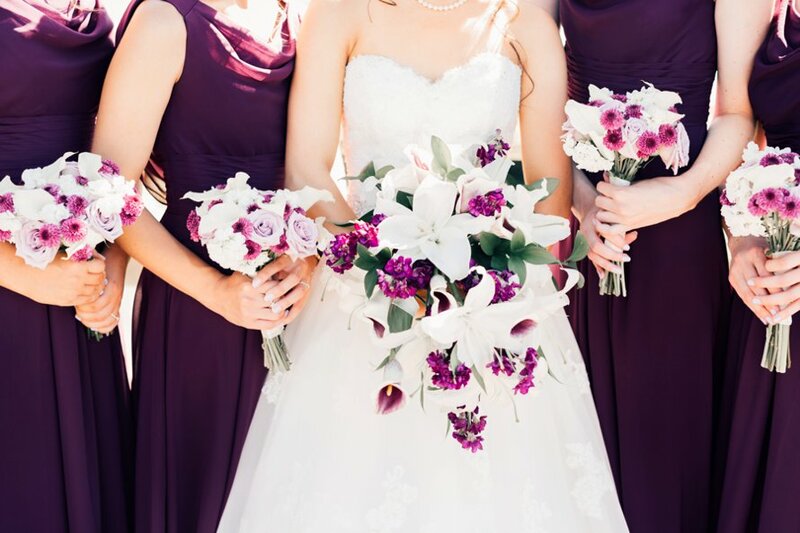 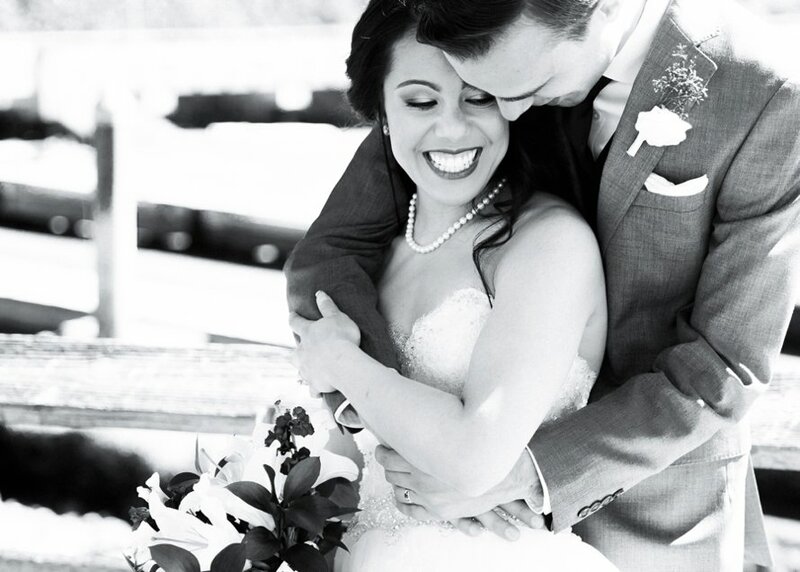 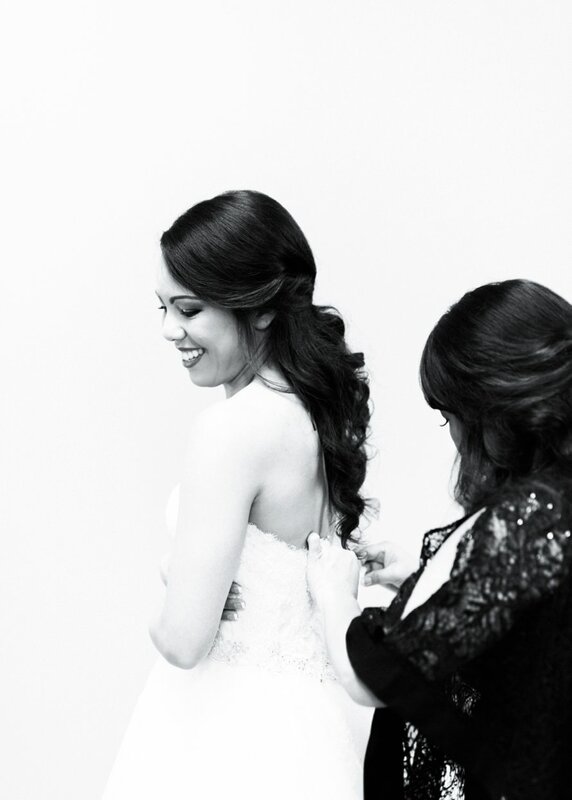 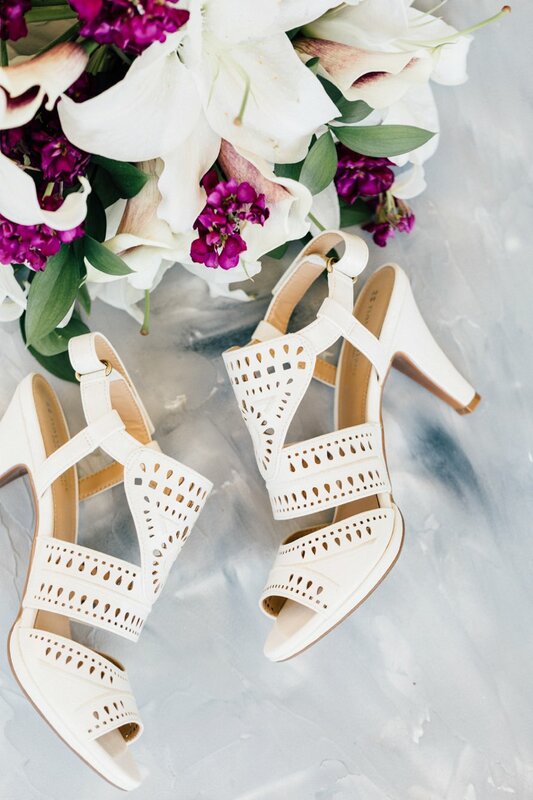 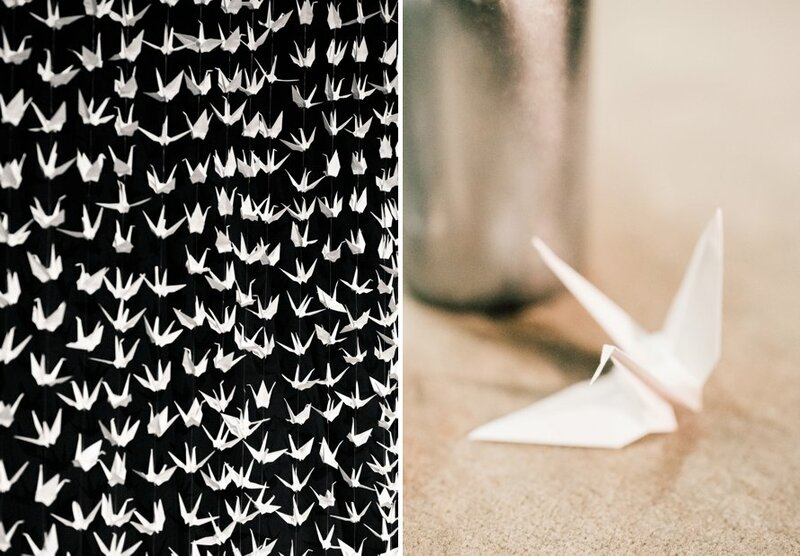 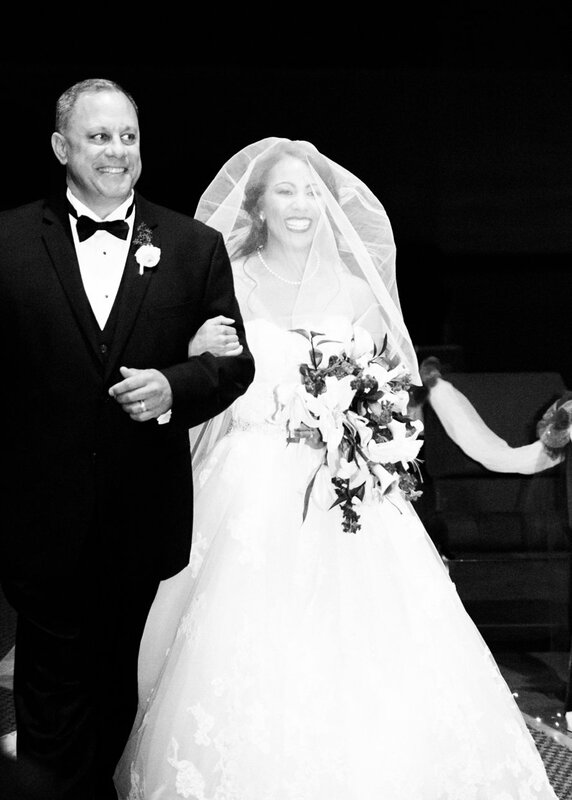 I love how the bride's Hawaiian heritage rang true throughout this wedding day. 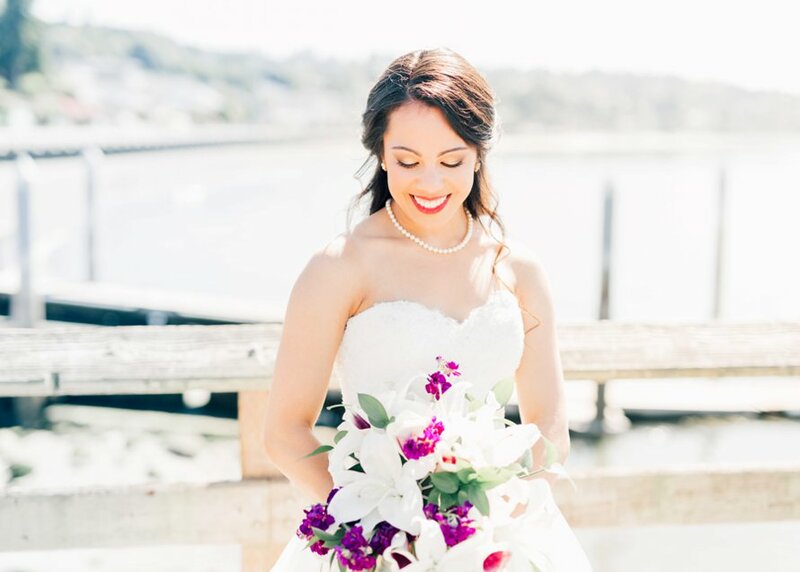 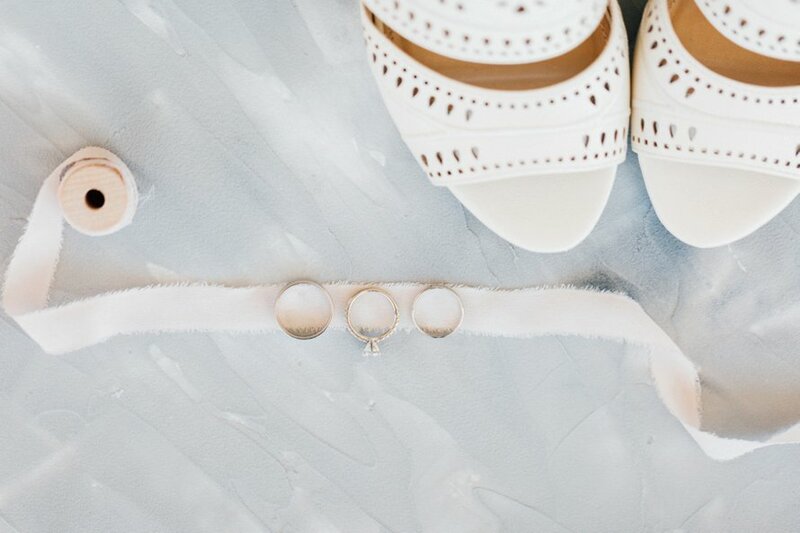 It was in the heirloom ocean pearls passed down from two generations, the headpiece she wore, along with the ceremonial wedding song performed by her grandfather. 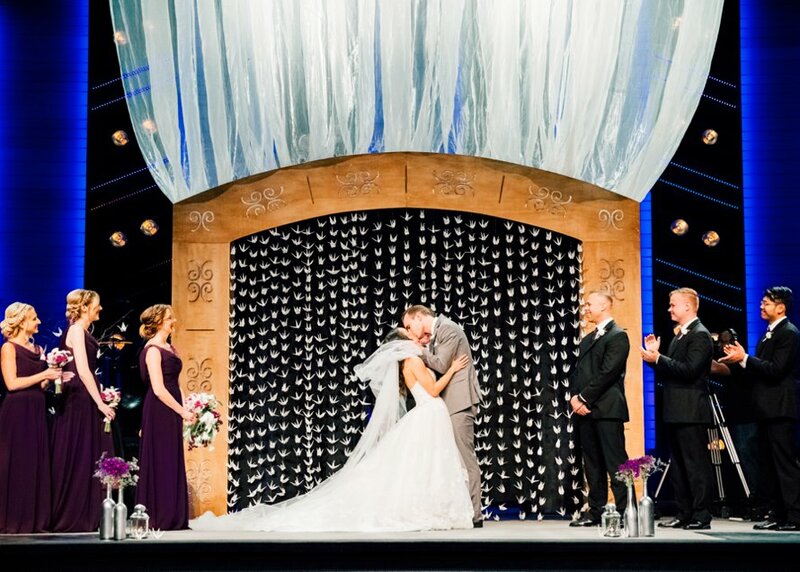 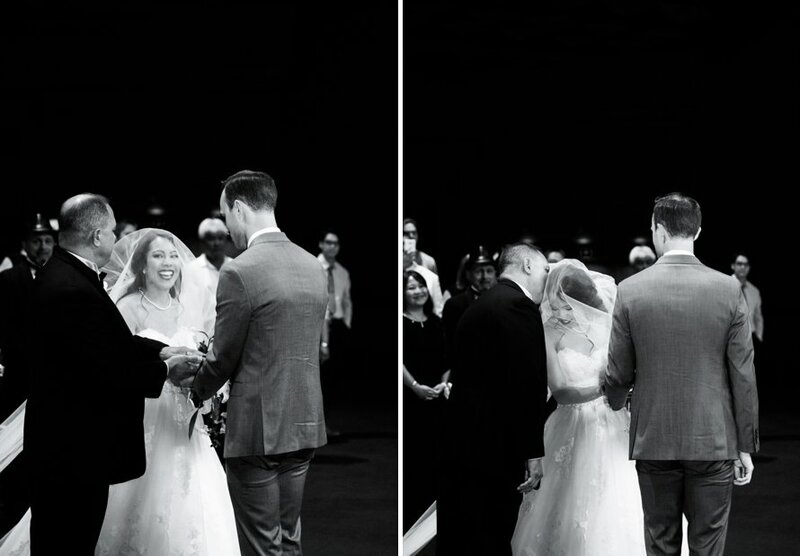 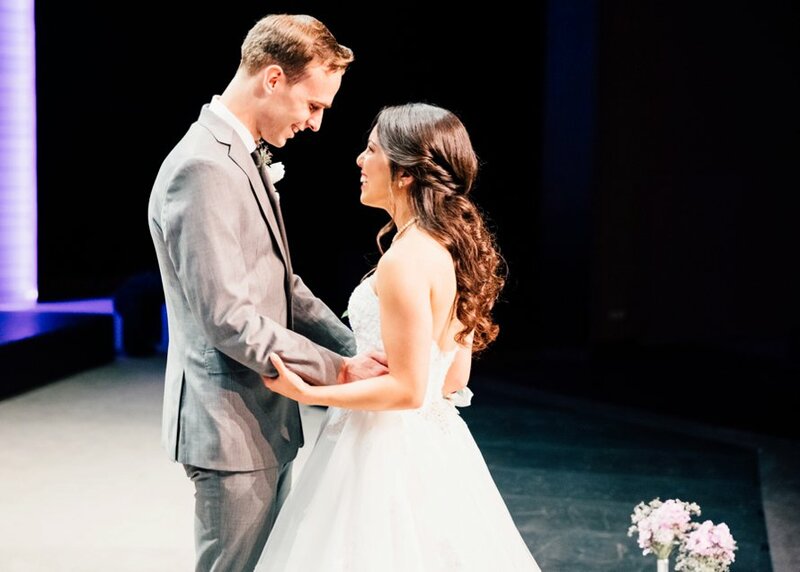 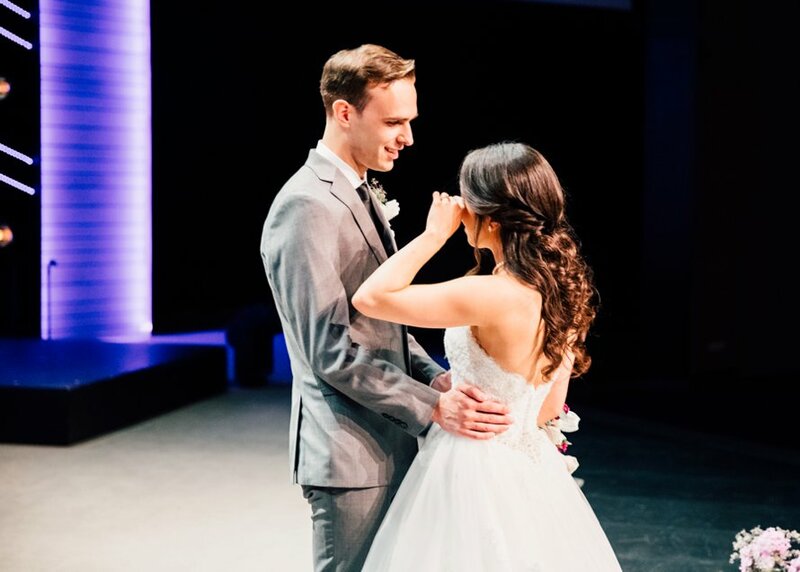 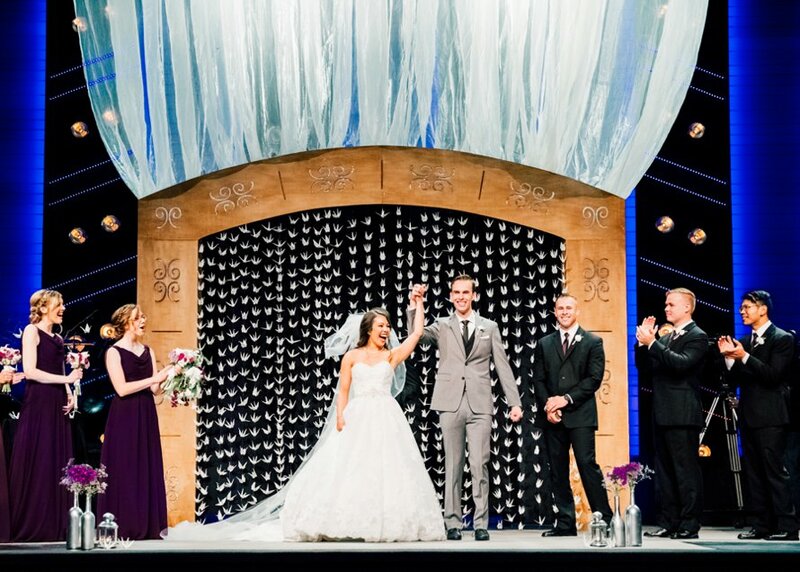 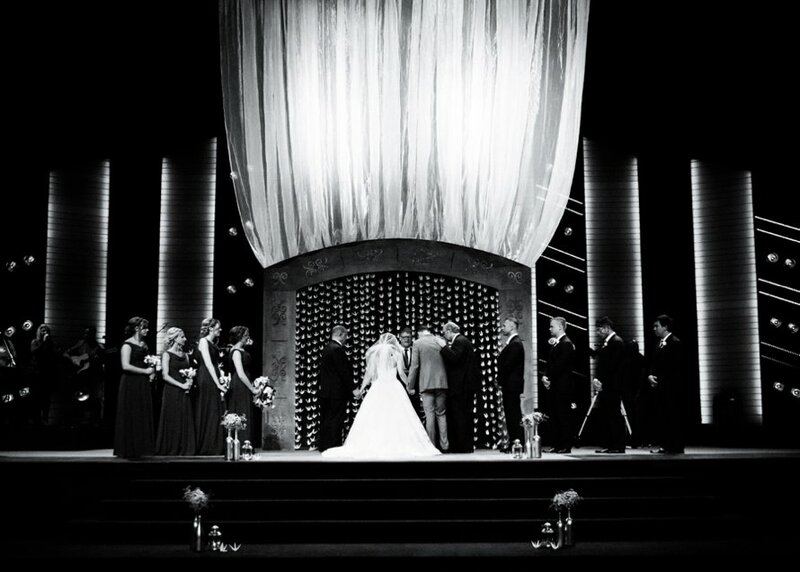 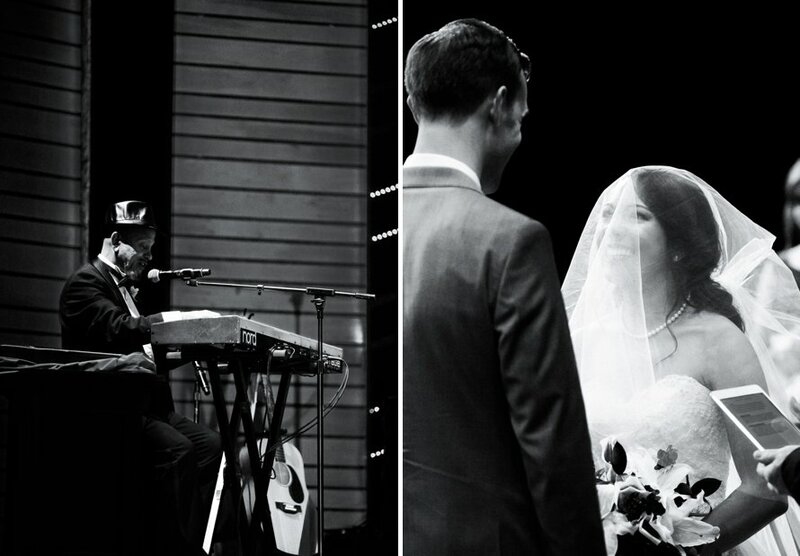 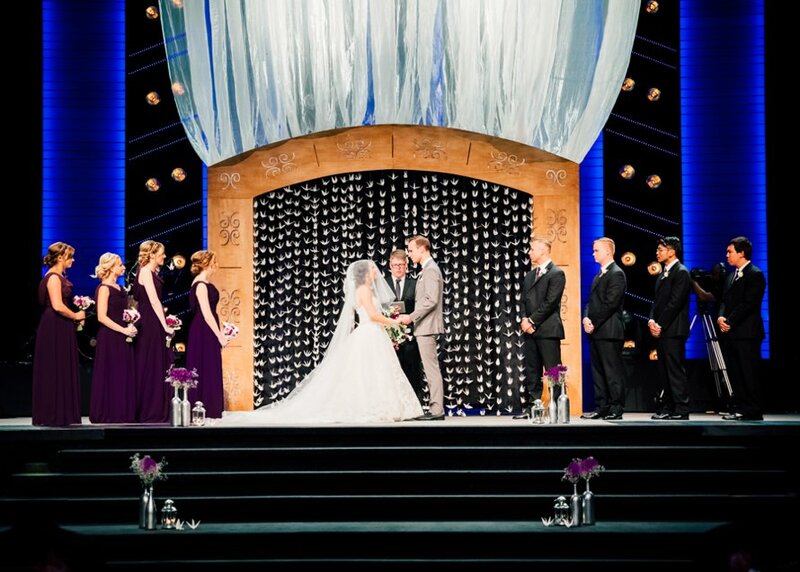 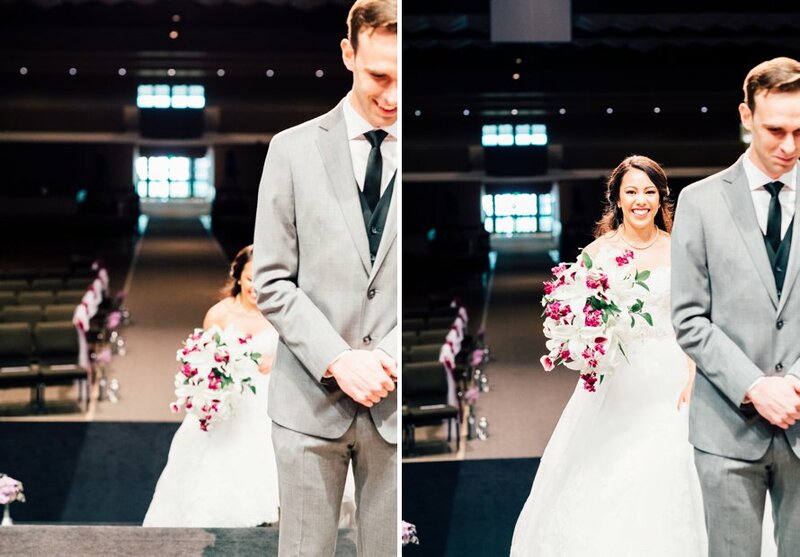 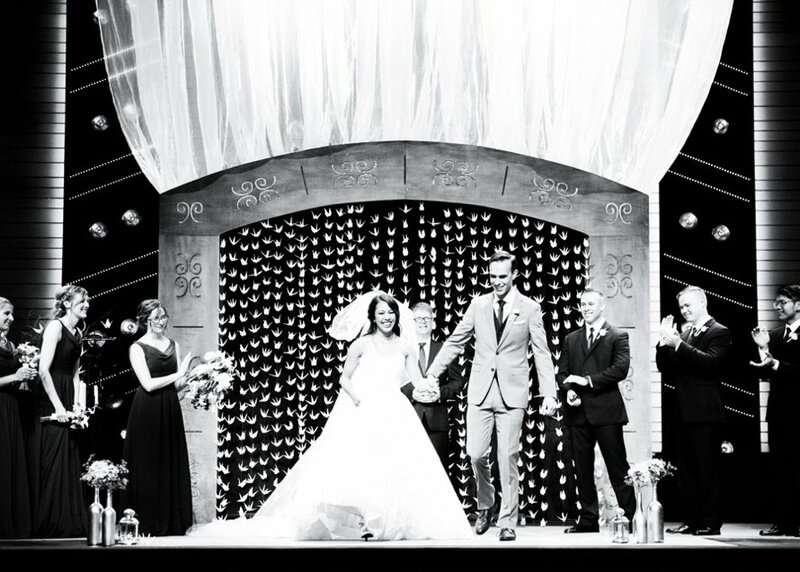 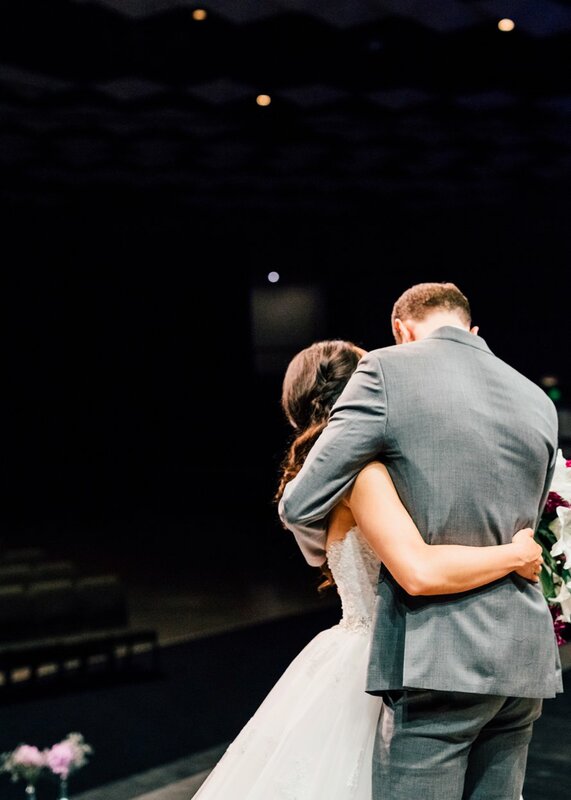 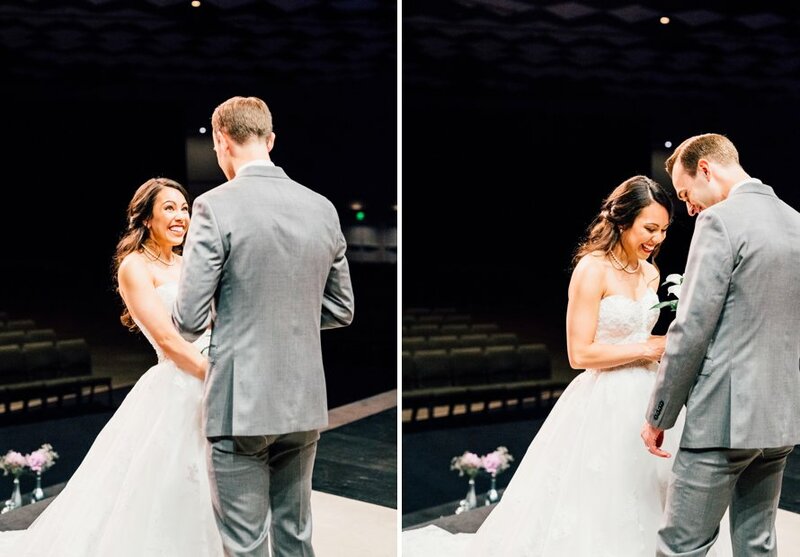 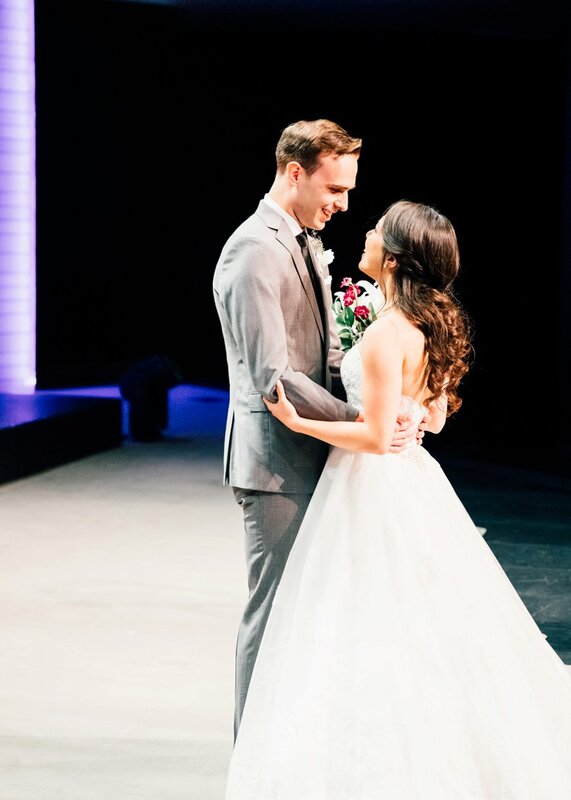 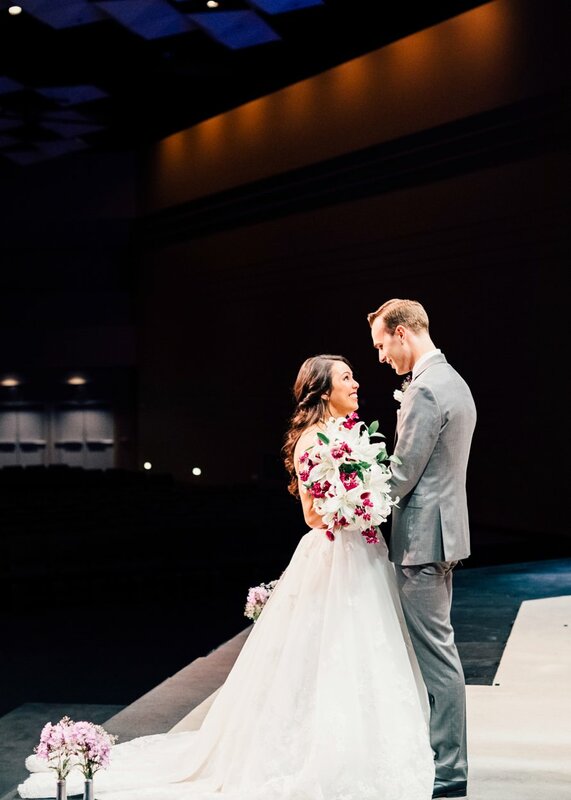 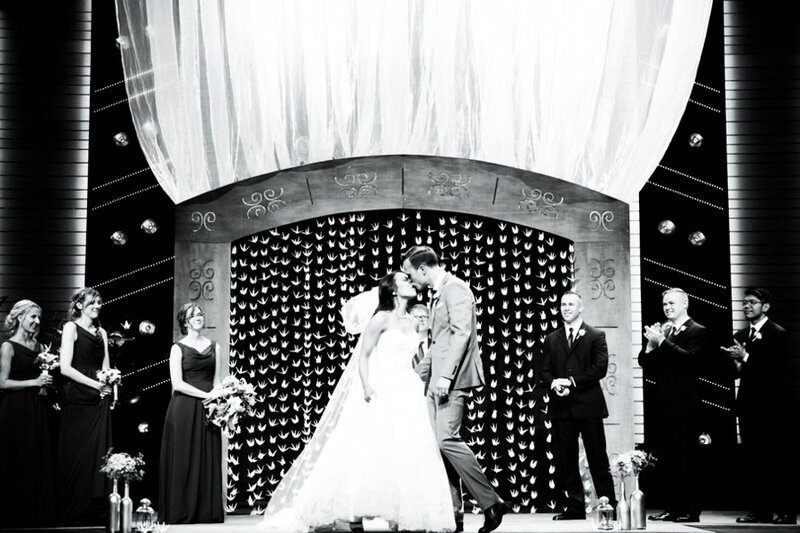 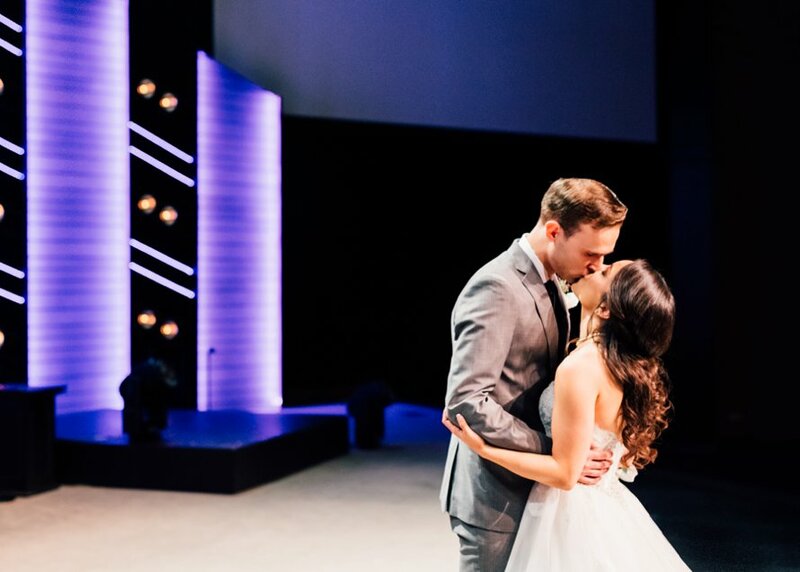 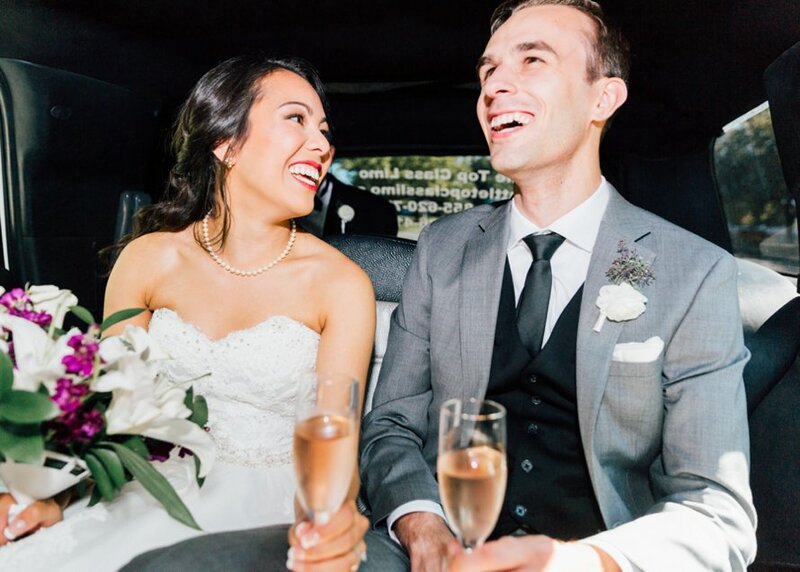 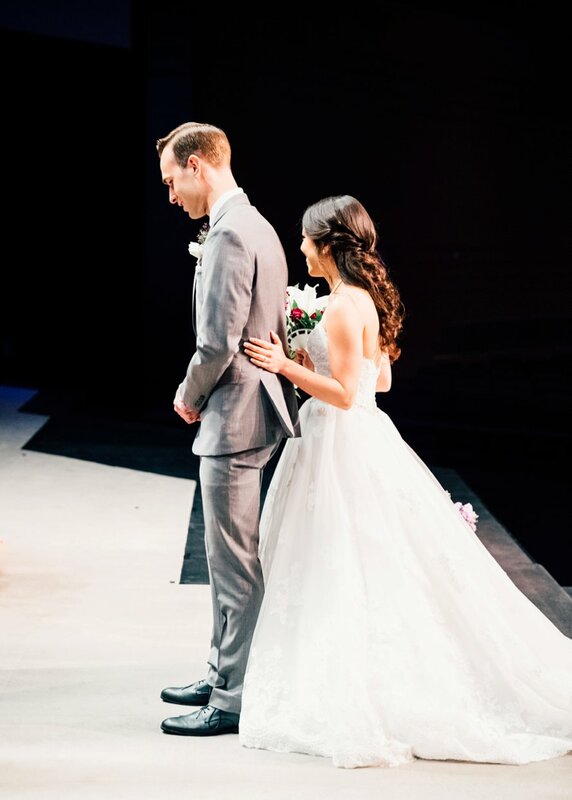 From time spent at the very spot Jordan proposed to becoming married on the stage they first met, this wedding was full of such sentiment!